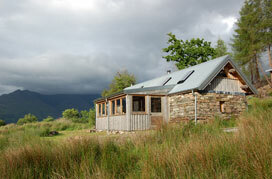 The Thrail House is a spacious and comfortable house in the most magnificent setting. 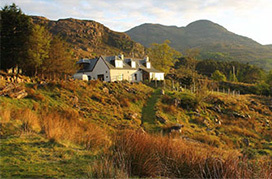 It's the perfect place to return after an exhilarating day on the hills or on the water. Back to basics with the 'sitouteree.' A quirky new no frills property on the Ben Damph estate. 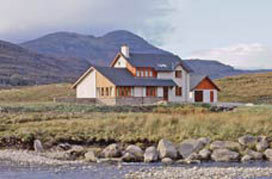 Set in 14,500 acres of dramatic highland landscape, you can make the most of our well appointed accommodation and take advantage of miles of footpaths, Loch Torridon for sea fishing or traditional country estate pursuits including shooting or fly fishing.